Keep this cake out of bright light. Do not get water on it. And most importantly, no matter how much it begs, don't eat it after midnight. Photographer Christine McConnell has created a series of cakes and a series of photographs that disturbingly accurately capture scenes from the movie Gremlins. McConnell considers herself more on the art side of things than the baking side, as evidenced by her Instagram bio: " Artist - Photographer - and I guess Baker." But her false modesty is pretty hard to believe, given how amazing these cakes look. 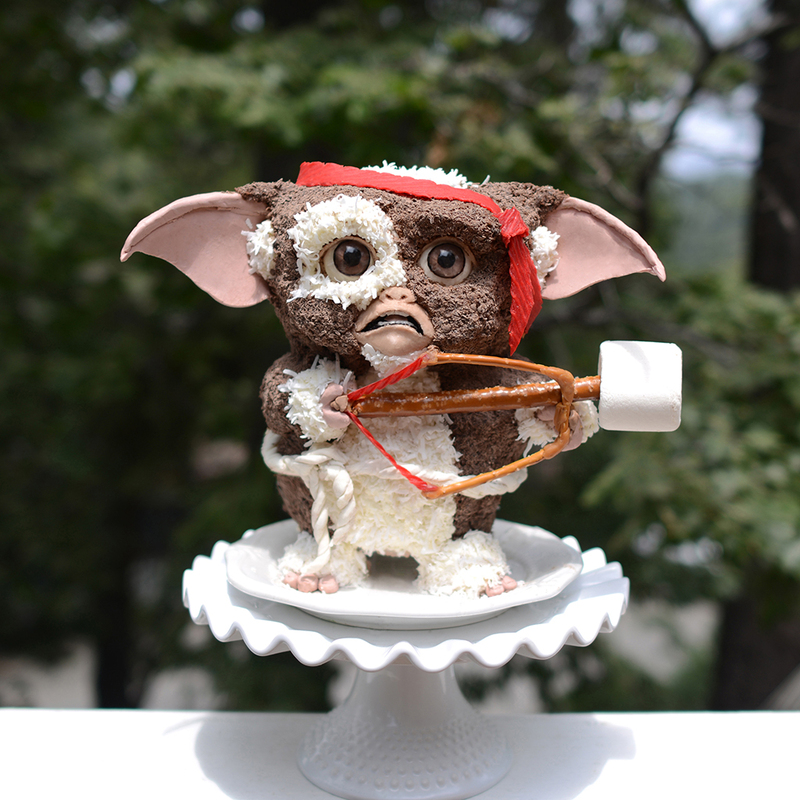 There are two cakes: Gizmo the mogwai and his terrifying gremlin counterpart. Gizmo is sweet and delicious. He's a caramel pecan turtle cake with a pretzel, marshmallow and Twizzler bow and arrow. The demonic gremlin cake, on the other hand, has none of that sweet stuff. He’s a wheat grass and walnut carrot cake with eyes carved out of carrots. McConnell does more than create frighteningly accurate tributes to eighties movies though. From her gorgeous light-up house cake to her terrifying sea monster waffle cones, she can seamlessly transition from precious to creepy as hell in a heartbeat. And her photo projects have been Facebook posted by twee-tastemaker Zooey Deschanel, so you know it's the real deal.